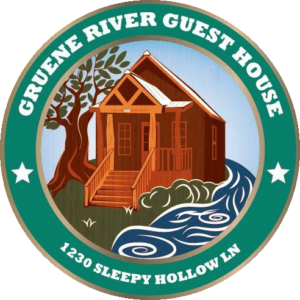 The Gruene River Guest House is the perfect location to experience all that the New Braunfels and Gruene area have to offer. Situated on 5 beautiful acres of open green space with 300 feet of Guadalupe River frontage it is the perfect location for family reunions, weddings, corporate events, or any large group gathering. The property is within one mile from downtown Gruene with its variety of shops, restaurants, and famous dance hall and within a few miles of all the attractions of downtown New Braunfels. It features 4 separate guest suites which sleep 20 in total each with their own private entrance. 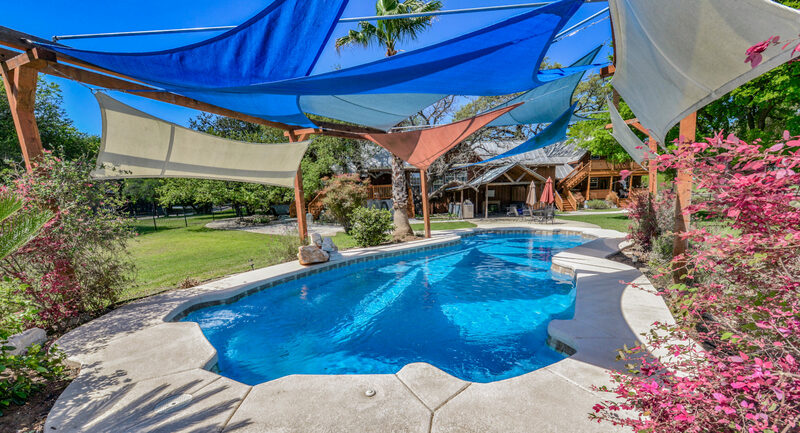 The grounds consist of an outdoor kitchen with grilling area, a shaded deck with large old oak and pecan trees, and a private pool. Along the riverfront, there is private river access for toobing, kayaking, or fishing and a beautiful Gazebo perfect for a romantic riverside wedding by the rapids. Click here and search for the dates you would like to stay with us.